Wicked, the musical that has become an international box-office phenomenon, is coming back to Greenville’s Peace Center at the end of January. The show, based on novelist Gregory Maguire’s re-imagining of the The Wizard of Oz, tells the story of Oz’s witches—the ever-popular Glinda and the green-skinned Elphaba—and their unlikely friendship. 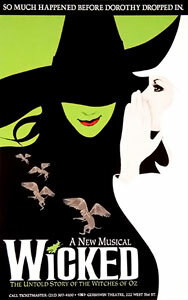 Wicked has been performed more than 4,000 times and has been enjoyed by millions of people around the world. It was last performed in Greenville in 2010, and many fans are pleased it will be returning in 2015. The musical has received three Tony Awards (having been nominated for several more), and its cast recording won a Grammy in 2005. Wicked will run at the Peace Center from January 28th through February 15. Tickets are available here.